Legal Talk Network On the Road covers the latest conferences, bar meetings, industry events, and trade shows. Often recorded live from the conference room floor our hosts interview bar presidents, committee and section chairs, and other leaders to offer an exclusive look at the biggest events in legal, as well as what is on the horizon for those who practice law. Hilarie Bass, Terry Harrell, and John Berry talk about their involvement in the ABA’s Working Group to Advance Wellbeing in the Legal Profession. Chad Burton talks about ABA Blueprint and how lawyers can utilize it to enter information about their firms and get valuable recommendations on practice management. ABA Midyear Meeting 2019: Better to be Rich and Guilty? Bernice Donald, Michele Neitz, Sarah Redfield, Ronald Kramer talk about socioeconomic bias in the justice system. Karen Hutchins talks about what the National Association of Bar Executives is currently working on. Judge Nannette Baker and Judge Tim Brooks talk about the national conference of federal trial judges, which judges attend, and what key issues they talk about during the meeting. Barbara Bavis talks about where you can research legal topics for free. Kerri Ruttenberg talks about how images impact people's presentations, why it’s so important to have them, and how to get your message out there through design. Jeffrey T. Frederick talks about how to master voir dire and jury selection. Jim Lambe and Janet Hong talk about what makes jury selection a crucial part of the trial process and how attorneys can efficiently handle the different aspects of jury voir dire. Suma Peesapati, Jennifer Novak, and Jon Rohrer talk about the CLA’s Environmental Law Section and enforcement issues that non-environmental lawyers should pay attention to. Neil Wertlieb talks about imminent changes to the California Rules of Professional Conduct. Shirin Forootan and Tamara Freeze share the top things companies should do in order to avoid employment lawsuits. Erin Gerstenzang and Megan Zavieh talk about how lawyers can use Twitter and other forms of social media the right way. Michael Iseri talks about the change of cyber security and how law firms can be more safe with their data and client data. Larry Wayte and Juanita Brooks talk about examining an expert at trial, how they approach it, and what questions or words to avoid. Robert Klein, Sabrina Green, Steven Mayer, Philip Shapiro, and Sarah Redparth talk the benefits of being a member of the Solo and Small Firm Section and what to expect at the solo and small firms summit. Cynthia Elkins talks about the role of an independent contractor, classifying the difference between them and regular employees, and attributes of being an employee w2. Lauren Powe talks about the California Young Lawyers Association (CYLA) and what they offer to attorneys in their first eight years of practice. Brian Baird talks about Americans' ability to distinguish facts from opinions and the effect this is having on our democracy. Heather Rosing, Pam Wilson, Jim Hill, Chip Wilkins, and Emilio Varanini talk about what the CLA leadership looks like after their split from the State Bar and the goals they have for the future of the association. Douglas Combs and Rick Bozarth talk about their plans to revitalize Oklahoma’s Access to Justice Commission. Katherine Alteneder discusses how her organization aims to create an environment in the civil justice system that is supportive of unrepresented litigants. Rod Ring talks about what the Oklahoma Bar Association Access to Justice Committee is doing to help low-income people have greater access to legal services. Eric Hallett, Richard Klinge, Dillon Turman, and Michael Figgins talk about access to justice in housing law. Ryan Gentzler and Anna Carpenter discuss the ways data helps them advocate for fair policies and services for low-income people. Judge Jonathan Lippman talks about his work and views on equal access to justice. Jim Sandman talks about the justice gap: the difference between the civil legal needs of low-income Americans and the resources available to meet those needs. Oklahoma Summit on A2J: Is it Time for Civil Gideon? Michael Turpen discusses the ideals behind the civil Gideon movement. Kimberly Hays talks about justice gap issues in family law and how they can be addressed. Cat Moon talks about a human-centered design for law and the power of curiosity to drive innovation in the legal profession. Gyi Tsakalakis and Kelly Street discuss content marketing, the differences between SEM and SEO, and the importance of using Google My Business. Tara Cain and Jordan Raine talk about how lawyers can use Zapier to connect apps and automate processes. 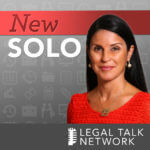 Billie Tarascio talks about what it’s like to work for a modern law firm, the steps to create one, and questions to ask when getting started. Tys von Gaza and Andrew Gay talk about developments coming out of Clio, why partnering with their API differ, and what developers can do to partner with Clio. Jason Morris talks about his views on the future of law and coding and how new tools can be made to suit the way lawyers think. Steven Silberbach gives tips and tricks for lawyers to help them become great salespeople. Gale Kirsopp talks about using realization rates as a tool for measuring revenue and productivity in law firms. George Psiharis discusses how much time lawyers lose everyday on average, Clio’s three basic components, and why less billing could help a firm earn more money. 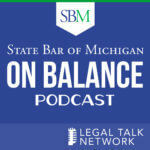 Erin Gerstenzang and Kimberly Bennett talk about legal ethics and how it collides with modern law firms, securing data, and the do’s and don’ts of posting on social media. Jack Newton and Rian Gauvreau talk about how Clio has improved over the last 6 years, the software’s new products, and the future Clio experience for all lawyers. Peter Geovanes, Dera Nevin, and Andrew Sprogis talk about their innovative roles and how to set a precedent when you’re the first one in their position. Daniel Pelc, Bryant Isbell, Adam Rubinger and Julia Hasenzahl talk about their main takeaways from the conference.